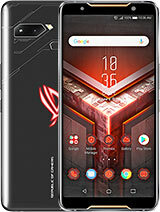 Where can i buy this kind if phone? I have used the phone for 3 years now. I did not have any problem with the phone hanging or with the applications. However, this phone and the company have some major, major issues as listed below. 1. Reception not clear. I tried the same SIM with other phones and the reception was great so definitely a problem with the phone. 2. Casing is of cheap materials. Did not realize at the time of purchase bcoz all the other features were overwhelming. But the casing started cracking within a year. The service centre in Bangalore refused to replace it saying that it was due to misuse. Which person would misuse a Rs. 21K phone??? Anyone, the casing is now in bits and I do not know who will replace it. 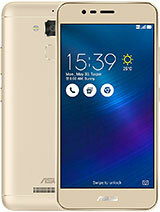 The service centres seem to have stopped handling ASUS mobiles. I would never recommend an ASUS product to anyone. 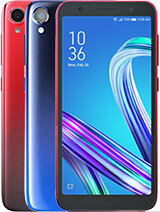 are this phone is best to use???? Used it for 2 years & it was real pain in handling the body especially panel.not much applications r there which supports windows mobile. Gurumaster, 09 Nov 2010i have one of this...it's the most amazing phone in the all world...when i go to the beach i'm... moreGood phone. MAX vibration. My gurlfriend loves max speed vibration in cu. max cu, max power, max master happy to me. someone planning to sell me this kind for rm500 which he ardy used for 2yrs.. should.should i not buy it?? confused.. afraid that a lot prob in future.. I was interested in browsing the internet at a faster speed when I am on the road. I selected ASUS P750 for that reason. The performance was great but it comes with a cost of bringing down your battery. Something you should be able to manage. I am pleased with other functions but the phone sometimes hang. I think that is a software problem and I am sure ASUS may have already heard about it. 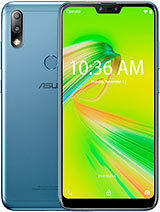 I have not used the GPS system on this model but I am planning on doing so if I purchase ASUS P835. My only problem with the phone is that the covering used on the outer part (housing) is weak and pieces have been falling apart a year after I bought it. 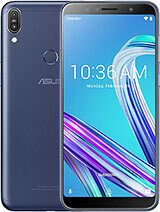 Perhaps ASUS should have a hard cover like the iPhones so that the phone housing is not easily damaged, under pressure or if it is dropped. this phone has a vga screen, but is outputting qvga. Do not buy this phone; mine fell apart within months of purchase because of a defect in the fascia and shell. Fifteen months later the motherboard decided to give up the ghost. All this against a backdrop of substandard service. Its an excellent phone... really durable. Just bought this P750 2 weeks ago 2nd hand (6 months old) at a very reasonable price keeping in mind that it still comes with the original box packing and all other accessories intact. With 6 more months warranty, it's really worth it. My previous P735 was stolen so I'm pretty much quite used to the phone and the feature I really liked most was its 520Mhz processor "Turbo Mode", no other units have this speed at this range. it's fast and smooth, better than many other today's Windows based PDA phone. The built-in GPS is good, fast and accurate with Garmin. These days, when I need to buy a Windows PDA phone, I will only buy 2nd hand, few months old with at least 3 months warranty to go as it's easy to solve problems "should the need arises". For guys facing "hanging" problem quite often, look at the softwares you've installed, especially 3rd party ones, they could be the cause of the problem. 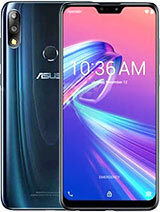 Total of 299 user reviews and opinions for Asus P750.